In the world of managing people, one of the most challenging employment decisions is when to implement a reduction in force (RIF). A RIF is painful for the employees at the receiving end of the decision, and other employees left behind are faced with low morale and higher demands on their skills and abilities. All in all, it’s a challenging time. However, employers should think critically and creatively about options to consider as alternatives to RIFs and layoffs. If a RIF is on the horizon, it’s never too early to start thinking about how to modify policies and shift practices so they alleviate the pressure on the business before it’s too late. The options below have been listed in order from the least challenging to implement to the most challenging. Note: These options are presented for employers in a non-union workforce because those decisions are typically more straightforward. Additionally, each union is different and has differing levels of flexibility to work with employers. If you have a union in place, these options may still be viable but will not happen without a healthy amount of bargaining with your labor representatives. If you’re facing a potential RIF, start the conversation now because negotiation is often a slow process. 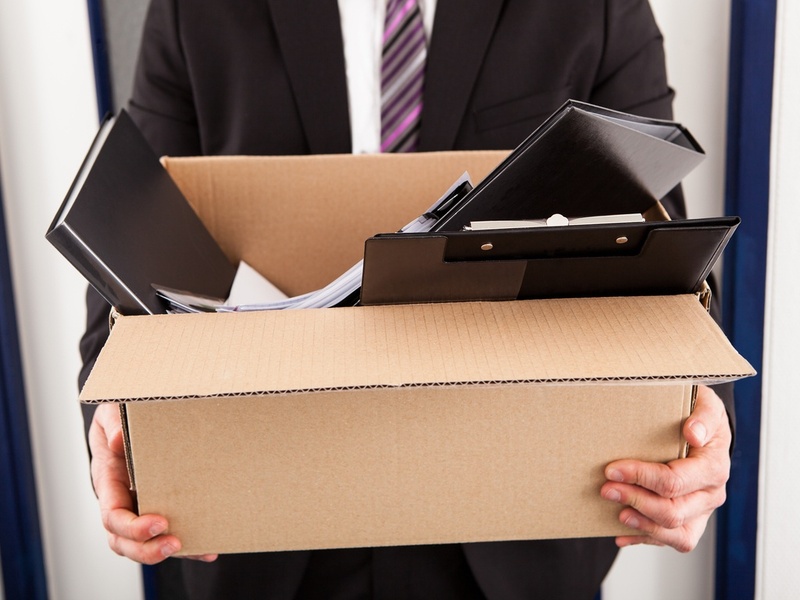 Hiring Freeze – The first step in avoiding a RIF is to implement a hiring freeze. Logically, when a company is facing the potential of cutting some of its workers, why hire new ones? The mechanics are fairly simple: any sourcing, recruiting and hiring activities are put on hold for the time being. Reducing input means reducing pressure, but this also can be a time where positions that are vacated are not backfilled, further reducing the headcount. To be fair, the counterargument to this point is that often times the skill sets and positions being hired are not the same as those that will be laid off, but that opens the door for the cross-training discussion. Cross-Training – If workers are on the verge of being laid off, can you find other opportunities within the business where their skills translate easily or with a little help? For instance, can assemblers in a factory be moved to quality checks or to shipping and receiving? During a recent conversation with the head of HR for a manufacturing facility based in Texas, she explained that forecasts in the next two to three years show that some of her company’s core skill sets are going away, but they are using this two-year period to ramp up and train their best employees to transition to new systems and opportunities. Overtime Limits – Financial strain on budgets can be reduced by limiting or eliminating overtime. When the same hour of work requires an additional premium of 50 percent or more, it is clear that overtime should be one of the first limitations. A word of caution: if the firm has workers that consistently work overtime shifts and have come to expect that higher income as a result, be prepared for some pushback with this decision. Voluntary Furlough – While it’s not the first option, many employers offer voluntary furloughs to workers that might have the financial stability and the personal interest to support them. In essence, workers take off work for an extended period of time, reducing the strain on the budget. In reality this will not appeal to more than a small percentage of the workforce, but in very lean times, every bit helps. Pay Cut – One of the last resorts before considering a layoff, pay cuts receive a visceral and vocal reaction from workers. Research says that nearly eight out of every ten workers is living paycheck to paycheck, which means most of your employees don’t have the financial support to take a reduction in pay. However, when it’s presented as a reduction versus an elimination of pay in the form of a RIF, workers are sometimes more willing to accept the reality of the situation. While each of the options here has the capability to impact your retention rate, this one will be the most likely to encourage workers to find alternative employment options. If all else fails and these steps do not avert the crisis, employers can still approach a RIF in a positive way by working with employees to find new roles outside the firm. In the past I have helped affected workers by reviewing their resumes or even talking with customers and partners about their capabilities in order to help them find a new position. When it comes down to it, a RIF is a last-ditch effort. Before it comes to that, employers have many choices and options for alleviating the pressure on the system, potentially overcoming the hurdle presented by the RIF and achieving long-term stability. A reduction in force (RIF) can be hard on the workplace. However, there are times when an RIF is essential to business operations. Here are some key things to know about RIFs.